Summary: A bank's reputation is an important intangible asset. Tips on how to keep your bank's reputation pristine. 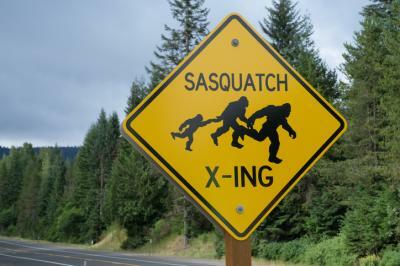 For eons people have been searching for Big Foot, Sasquatch or Yeti, as it is also known. Now it seems researchers have solved this mystery using DNA analysis techniques. Drum roll please - yetis are bears. That's right, after examining 9 different specimens reportedly from yetis all over the world, it was found that 5 were Tibetan brown bears, 2 were Himalayan brown bears and 1 was an Asian black bear. Now that you know this, be sure not to mess with a Yeti when walking in the woods. Another thing community bankers don't want to mess with is their bank's reputation. After all, retail and commercial customers want to interact with institutions they trust. That means your bank's reputation is a real (if intangible) asset. Over the long run, damage to that reputation can hurt your bank much more than any punitive fine, so here are three things to remember to keep your reputation intact. Monitor your reputation. You need to know what your customers say and feel about you and social media is a great place to start. Experienced employees should monitor your bank's website and Facebook, LinkedIn or other social media pages. Responding to customer comments should be intelligent and reasonably rapid. There's no such thing as a business that never makes a mistake, so don't expect that you can please everyone. Being prepared with the right responses will help keep your reputation in high regard. Of course, you shouldn't ignore more traditional channels, such as customer service, emails, or letters sent directly to a branch. Train staff members how to speak for the bank in all those various settings. Doing so will ensure there is a consistent message supporting your brand values. Make it part of your enterprise risk management program. Reputation risk deserves its own risk category for sure. That said, don't forget that when a bank's reputation gets dented, the damage is often the result of its failure to manage other risks. For example, if a bank doesn't protect customers' private data, its reputation will likely ultimately suffer. To handle this duality, make the assessment of potential reputation risk a standard part of assessing every other risk your bank takes on. These include operational, credit, market, strategic, and IT risk to name a few. Include the potential reputation impact twice - once as part of the assessment of each risk and second in aggregate across the business. Measure, communicate and educate. Make sure to include reputation risk in key metrics. A bank's board and executive management should take charge of the bank's reputation as a whole and each business unit executive is in charge of their unit. Don't expect every staff member will independently stay current on ways to manage reputation risk. Charge an individual or team with the responsibility of following regulations and staying up to date on things happening in this area. Keep employees posted about best practices and provide continuous education. Because a bank's reputation is a major asset, it deserves continued attention from everyone. Those who don't monitor their reputation are probably wandering in the woods without direction. After all, without addressing reputation, you are missing a key component in your overall business strategy and risk management. Keep moving forward and make sure your entire team has their eyes open around your reputation to avoid running into a Yeti, bear or Big Foot out there on social media. Yields lifted 1bp as the FOMC meeting kicked off. ABC News indicates a report by cybersecurity firm IB-Group finds hackers have allegedly stolen at least $10mm from at least 15 banks in UT, NY and CA. This group of hackers reportedly targeted US community banks mostly through card payment systems as long ago as May 2016. Hackers reportedly opened accounts, removed withdrawal limits on legitimate cards and then hit ATM machines to withdraw money.